Dauthi Embrace is a sweet political tool. 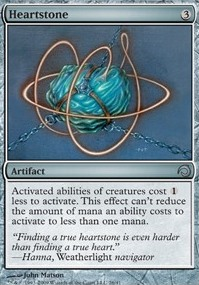 Use it to make ne of their blocking creatures unable to block or use it to make one of their creatures unblockable. I like it.. Have you considered something like Dauthi Embrace and/or Rogue's Passage for when you’re ready to start taking players out? I think you're a little light on creatures. You might want to run Dauthi Marauder over Scare Tactics, which requires you're attacking with at least three creatures for it to be worthwhile. Even then, it has the same effect as Bump in the Night , which doesn't need any creatures to work. Dowsing Dagger Flip gives your opponent two useless creatures that can't block any of your guys, meaning it will immediately flip. Dauthi Trapper or Dauthi Embrace plus Dauthi Cutthroat is removal every turn. 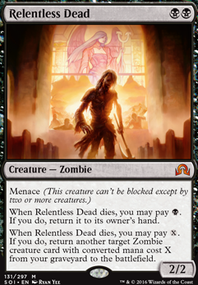 Lashwrithe will be a little pricey at four mana, but it's a huge boost that should close out the game quickly. Glistening Oil would be utterly brutal in this deck. Getting Haunt up to 5 power for a two swing kill is trivial, where as getting him to 10 for a one hit kill is almost as easy. 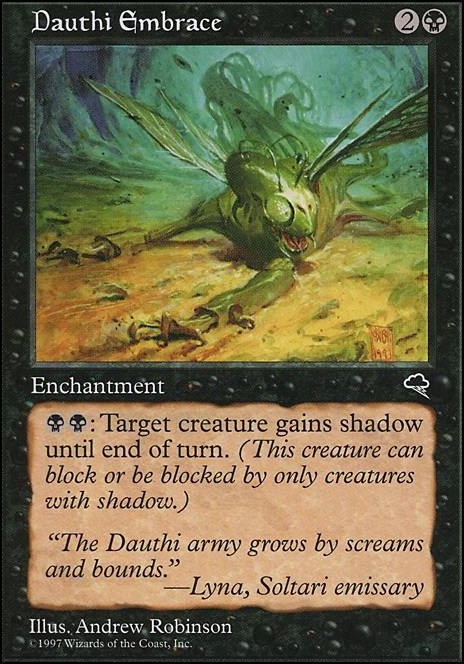 Bonus points for putting in Dauthi Embrace to give your pumped up Infect Commander some Shadow goodness. 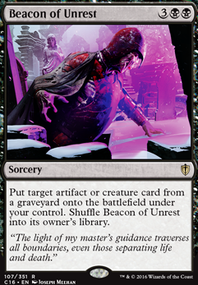 Throw in Demonic Tutor Vampiric Tutor and Infernal Tutor and you're ready to fetch what you need when you need it. 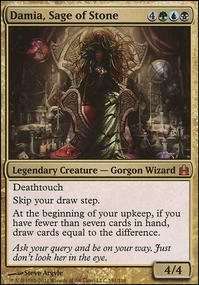 Dauthi Embrace is pseudo unblockable for Hapatra, or for political gains. Quest for Renewal and Spidersilk Armor shores up your defense. Liliana, Death Wielder and Liliana's Influence are great with your commander. Keeper of Keys might be the only semi-permanent way of getting global unblockable without paying mana per creature. Otherwise Dauthi Embrace is similar to Thassa, but requires double black.